Practicing throughout Connecticut, Consumer Law Group, LLC, has been fighting consumer fraud for nearly 20 years. Lead by attorney Daniel S. Blinn, the group routinely takes on Connecticut auto dealers, banks, finance companies, debt collectors, and others who try to take advantage of unsuspecting buyers and consumers. The law firm also goes after businesses that violate the Fair Debt Collection Practices Act or the Telephone Consumer Protection Act. Auto dealer fraud cases are a big part of Consumer Law Group, LLC's caseload. The lawyers also deal with "lemon law" violations and cases involving, certified used cars, breaches of warranty, and car repossessions. Dan Blinn is a graduate of the New York University School of Law. He is admitted to the Connecticut and Massachusetts bars. He served as chair of the Consumer Law Section of the Connecticut Bar Association from 1999 to 2005. He has been lead counsel in more than 30 class-action lawsuits involving car dealerships, health clubs, auto financing and repossessions, debt collector harassment, and improper collection of sales taxes. He is the Connecticut state chair and treasurer for the National Association of Consumer Advocates. He was selected to Super Lawyers in 2013 and is a frequent radio talk show guest. Consumer Law Group, LLC is located in Rocky Hill in the South Way Executive Park at 35 Cold Spring Road, near the intersection of Cold Spring Road and Cromwell Avenue. Spanish is spoken here. To request an appointment, call 860-924-7556. Advocating for consumers since 1997. Consumer Law Group’s attorneys and staff members have assisted many consumers with claims against Connecticut automotive dealerships. Consumer Law Group has handled hundreds of claims against debt collectors and creditors for violating federal or state law. Consumer Law Group assists identity theft victims, usually without requiring them to pay any money except out of the recoveries from the lawsuits that we bring. 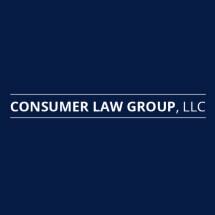 Consumer Law Group can assist you in disputing items on your credit card accounts. When payments fall behind, the phone may start to ring, and, eventually, property may be repossessed. Fortunately for Connecticut’s consumers, state law provides many protections in the event of repossession.